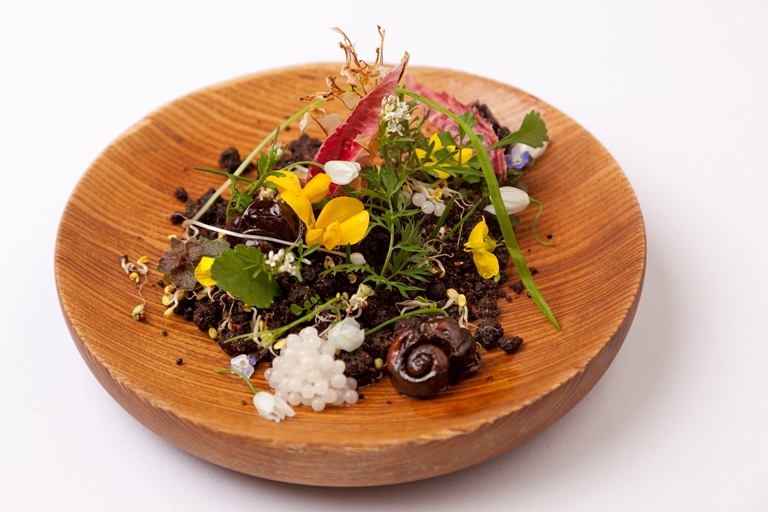 The snail garden recipe has become something of a signature dish at Phil Fanning's restaurant Paris House and was inspired by his childhood holidays in France. Phil Fanning says: "The original version of this dish was a garlic and parsley number which was obviously inspired by the most classical French garnish. I have had snails many times whilst travelling around France and with this classic garnish, done properly, they are delicious. So when we stumbled across Aylesbury Escargot, it made sense to bring these flavours together."